Since 2005 when he became a world champion in -105 kg category, Dmitry Klokov is one of the biggest stars in the sport of Olympic weightlifting. His resume includes a silver medal from Bejing Olympic Games in 2008 and two silver and two bronze medals from World Championships. The Crossfit community also knows him by his seminars where he teaches athletes how to improve and get better in technique and overall preparation for Olympic weightlifting. 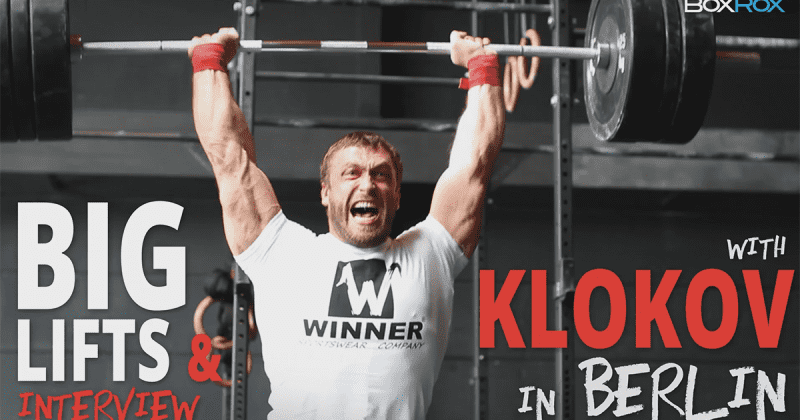 In April we caught up with Dmitry Klokov at Myleo CrossFit in Berlin, where he gave a seminar about Olympic Weightlifting: lifts demonstration, coaching and guidance on how to prepare for a competition, increase strength, efficiency, movement quality, mobility and improve your diet and recovery. In the interview he talked about his future, best lifts and Crossfit – how he sees the sport. Check out the video and let us know what you think. Can you still remember the epic battle between Dmitry Klokov and Khadzhimurat Akkayev at the 2011 World Weightlifting Championships, held in Paris?